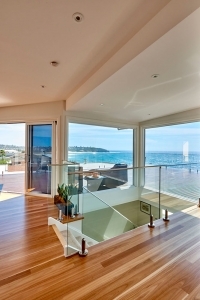 The client brief was to maximise the stunning views from their beachside home and to extend up a level. 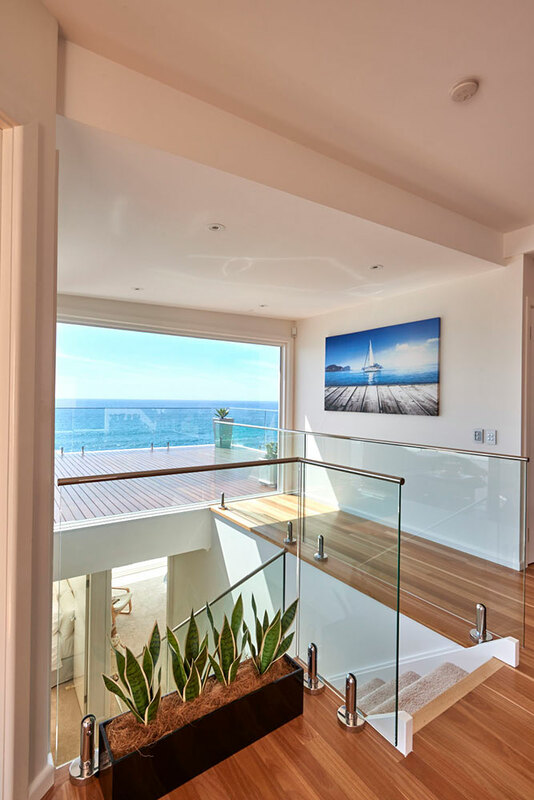 The clients wanted an indoor/outdoor living space that connected the indoor seamlessly to the outdoor spaces and draws the eye to the stunning view. 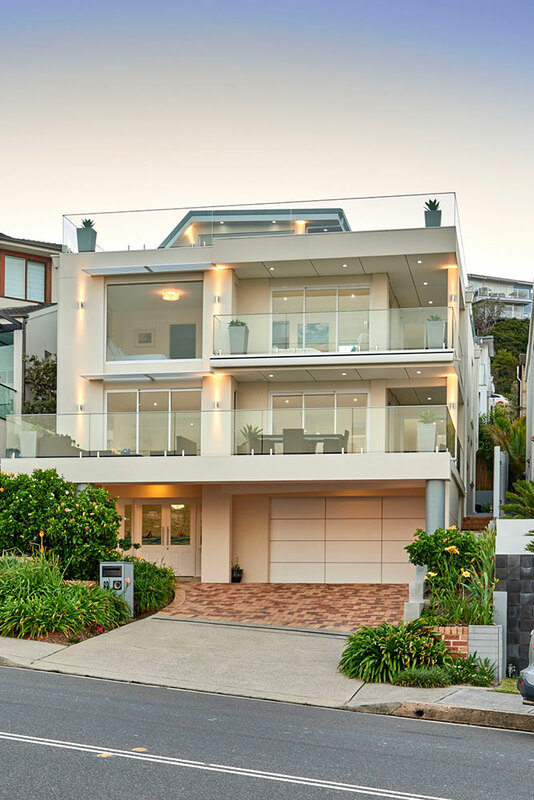 The result is a stunning four level home with sublime views. 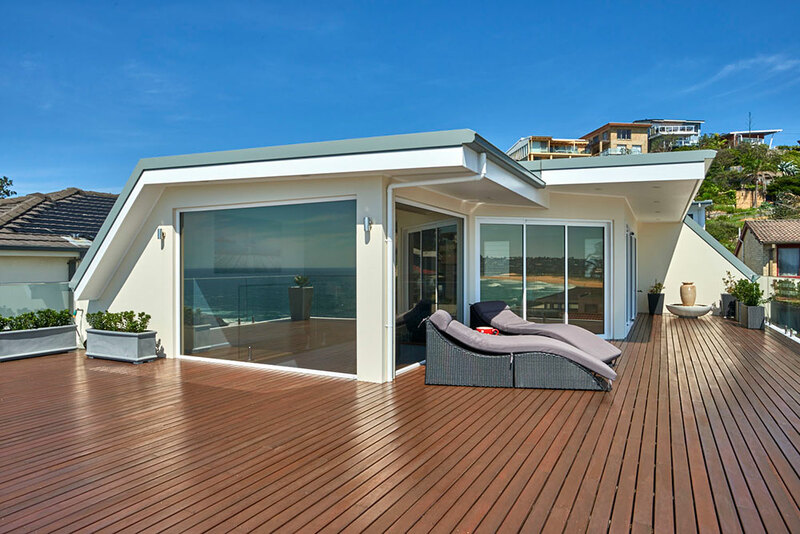 The top floor features a spectacular outdoor deck and wraparound verandah. 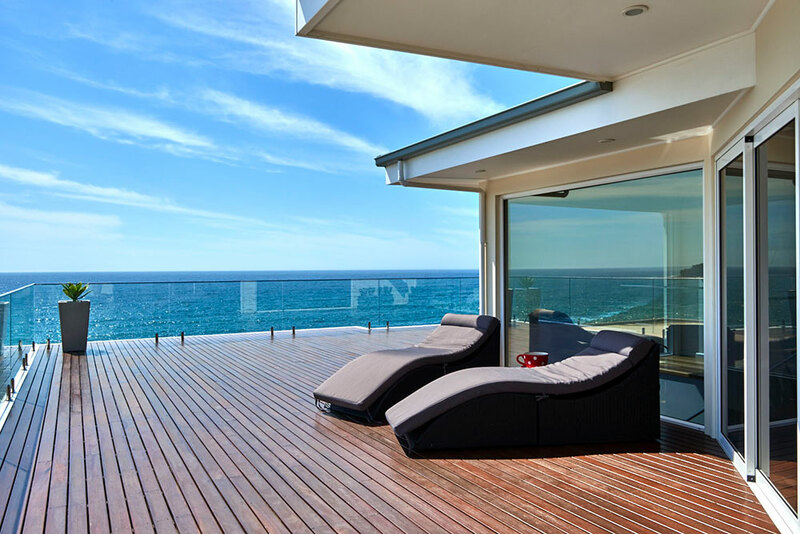 The deck design maximises access to sunny spots in winter and shade in summer and also for shelter from ocean breezes. 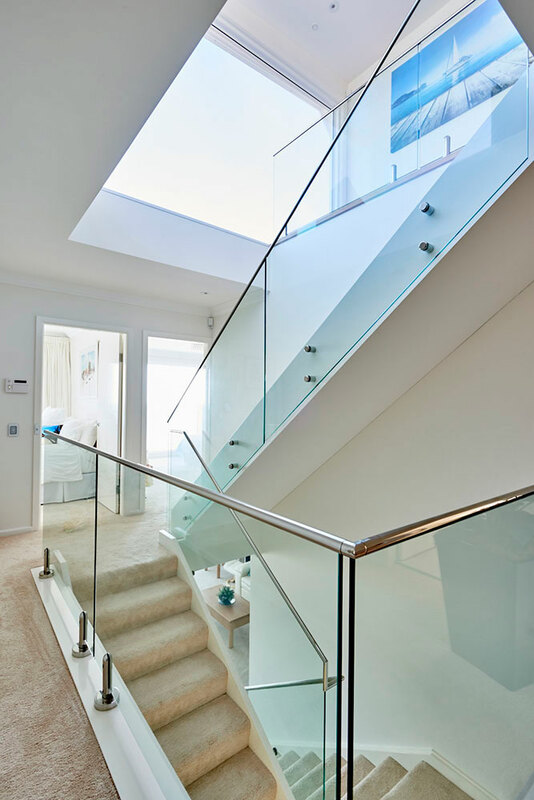 Central to the design is the glass railed staircase connecting the four levels and allowing light to flood through the entire home, drawing the light down from the top floor to the bottom. 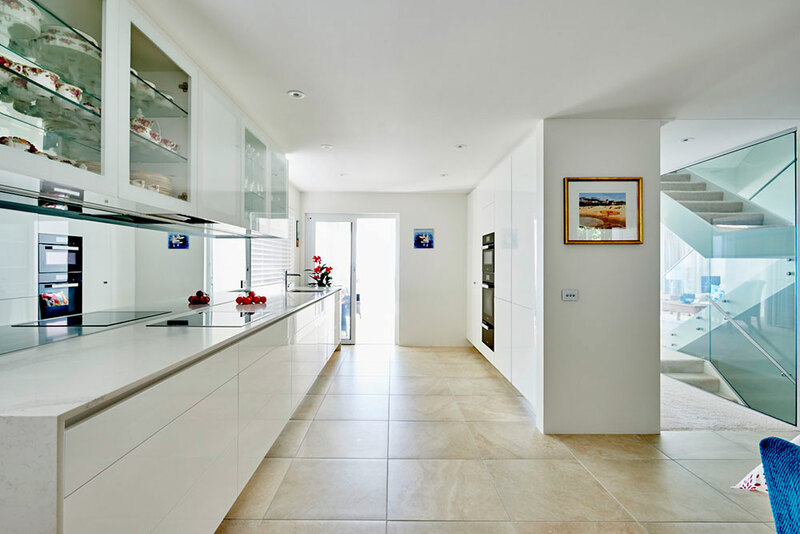 The kitchen, dining and living relationship is an open plan arrangement to allow interconnection between spaces. The open spaces allow for a light filled interior, whilst directing the eye to the view and delineating the functional areas. 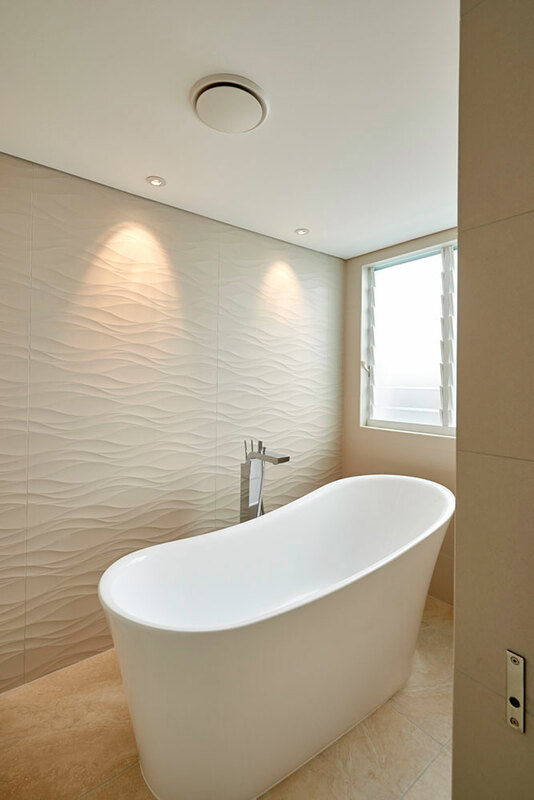 Luxurious bathrooms add to the coastal chic feel of this bespoke home. 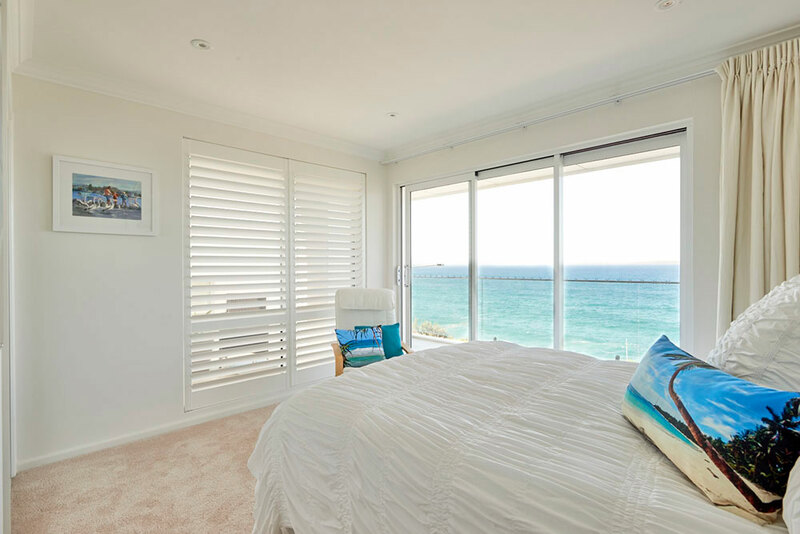 A series of windows shutters allow cross ventilation and also offer a privacy screen from neighbours.